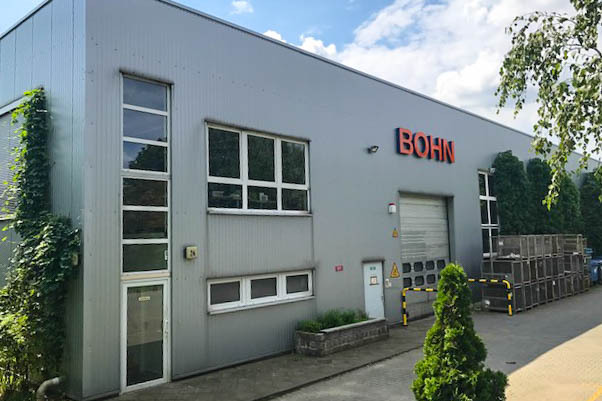 BOHN GmbH was founded and named after Hans-Joachim Bohn in 1986. The company was established on the fourth floor in the rear of an old industrial building in Kreuzberg and in time was able to build up a firm customer base in the Berlin market for electrical and plant engineering, turning operations and milling work, structural component assembly and fitting out of printed circuit boards. With the development of CNC technology the range of production has shifted ever more strongly towards CNC turning and milling. In January 1997 Hans-Joachim Bohn retired. Wolfgang Scheer took over as CEO of the company. Since 1997 structural and technical changes have been carried out and the premises have moved. This investment enabled the company to acquire new clients and enlarge its production range. In 1999 the company built its own facility on a plot of land in Marienfelde. The move into the new building led in time to a further change from classic contract work to mass production for the automotive industry. Demands on the company have grown steadily in parallel with these developments. In order to meet these requirements, the company expanded its production plant in 2008 with a new administrative area containing training and conference spaces. New purchases have brought the machinery plant up to the most recent technical standards. Our employees demonstrate an impressive level of competence and production-oriented know-how. We are always keen to impress our customers with the highest quality and reliability, as this is the only way to establish long-lasting, stable and trustworthy delivery relationships.